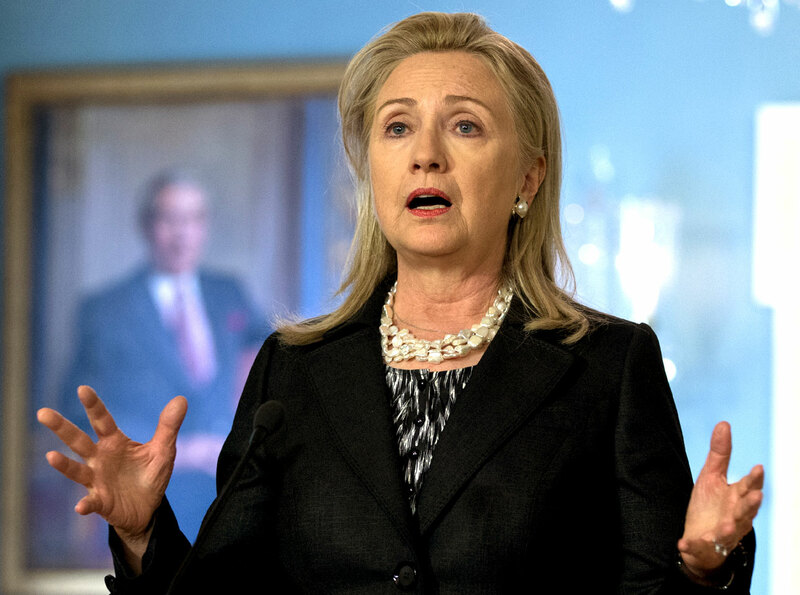 Secretary of State Hillary Rodham says Iranian leaders are to blame for hurting the Iranian economy, sinking the currency rate and rising economic protests. Speaking Wednesday beside Kazakhstan's foreign minister, Clinton acknowledged the international sanctions have contributed to Iran's economic woes, but she added the sanctions could be removed quickly if Iran's government complies with its nuclear obligations and is willing to work with the international community "in a sincere manner." "They have made their own government decisions, having nothing to do with the sanctions, that have had an impact on the economic conditions inside the country," Clinton told reporters. The secretary of state's comments came as Iranian authorities clashed with protesters upset over the country's currency crisis. The rial has lost more than a third of its value in a week, causing shifts in the economy such as making imported goods more expensive. There were unconfirmed reports of sporadic violence. Associated Press photos showed riot police blocking a street with the charred hulks of a garbage can and a motorcycle that had been set on fire. Smoke was rising from the area in the central Tehran near the main Bazaar. In response, Iranian authorities made arrests, vowed to stamp out sidewalk money changers and warned merchants against fueling the mounting public anger over the economy. Although the currency crisis is blamed on a combination of factors -- including internal government policies -- the rush to dump rials appears to reflect an underlying perception that international sanctions have deepened problems such as runaway inflation and soaring prices for imports and that the only safe hedge is to grab dollars for euros. The strict sanctions are the West's response to Iran's developing nuclear program. The U.S. and allies suspect Iran is using the civilian program as a cover to develop the capacity to build nuclear weapons. Iran insists its program is peaceful and geared toward generating electricity and medical radioisotopes to treat cancer patients. "Of course the sanctions have had an impact as well," Clinton said, "but those could be remedied in short order if the Iranian government were willing to work with the P5+1 and the rest of the international community in a sincere manner."